The Olympic Dream gets real …. This morning the people behind Bequia Youth Sailors met to discuss the future of the program, along with Dr Frederick Ballantyne, Governor General of St Vincent & the Grenadines. Bequia Youth Sailors has now moved back to its original website : www.bequiayouthsailors.org. Please follow us there. 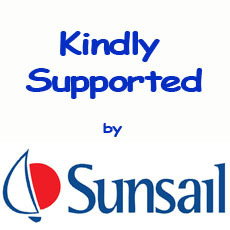 Welcome to the website for the Bequia Youth Sailors. Here you will find all the information relating to this charity, based here on the paradise island of Bequia, part of St Vincent & the Grenadines. You will find details here about our charity, the team of young people we are teaching to sail, the boats we use, the local ‘double-enders’, the latest news and much more besides. If you would like to get involved or make a donation, which can be anything of use (it doesn’t just have to be financial, though that’s always welcome), please get in contact and speak to Andy or Eddie. If you would like to come down and watch the young people going through their paces during one of the training sessions, then come along to the bay at the weekends, around 10am to see what going on. We look forward to welcoming to be part of our merry band and hope top see you on the beach very soon.